A.K.A. Facebook people are Instagram people. You’ve probably heard the news by now that Cambridge Analytica collected data from millions of Facebook users without their consent. This has a lot of people freaked out. How much does Facebook actually know about us? And what is it doing with our personal info? 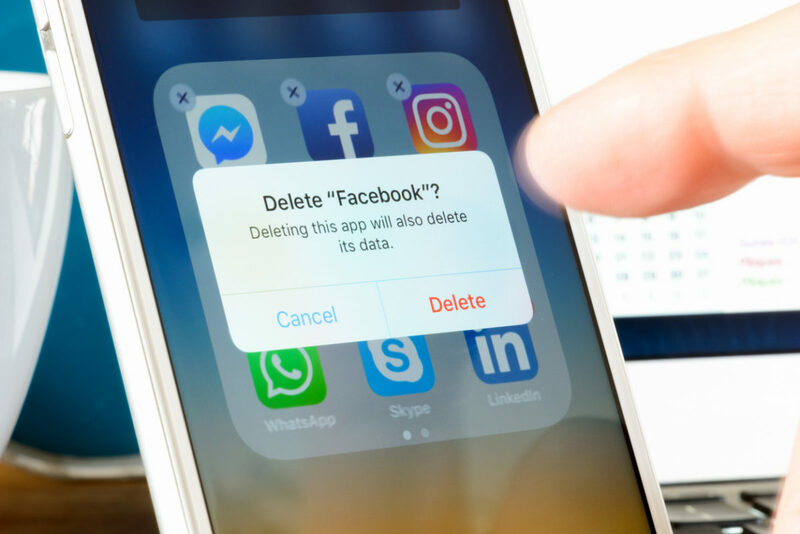 Basically, people are pissed; so pissed that #DeleteFacebook started trending on Twitter. Even starman, Elon Musk, deleted Tesla and SpaceX Facebook pages out of protest. Surrounded by an immense amount of public pressure, Mark Zuckerberg and Sheryl Sandberg began their apology press tour to ensure they will do better in the future. Sorry guys, this scandal can’t be pushed down the timeline just yet. Now people are looking more closely how Facebook and Google collect and use their data. Is this new? Not exactly. Even before the Cambridge Analytica fallout we’ve known Facebook knows a lot about us. Why do you think that ad for Nike sandals appeared in your Facebook feed just shortly after you left the Nike site? (See more on “dark posts” here). By using all the stuff Facebook knows about you, it’s able to sell to advertisers to target you. Soo… Why are we talking about Instagram? Instagram advertising IS Facebook advertising, and Facebook advertising IS Instagram advertising. If you’re trying to run an ad through Instagram, you’re doing it through Facebook’s ad tool. So, what does that mean? Both Instagram and Facebook are sharing the data they collect about you with each other and advertisers. So Instagram-only ads don’t exist? Well, yes and no. There’s an option to have ads only run on Instagram, but you have to place them through Facebook ad manager. So yes, ads can be tailored to only show on Instagram, but it’s all being concocted in Facebook’s ad system. You can be targeted through your Facebook AND Instagram accounts. As far as advertising goes, they are one and the same. Advertisers will target your Instagram profile based off your Facebook, and vice versa. They can target your Facebook using info they aggregated from your Insta. Jokes on you, I only use Instagram to show off my cat and her daily activities. If you have a normal Facebook account, it doesn’t work like that. You’ll still see ads on Instagram based on the overall profile Facebook created about you, which is based on all the things it knows about you from both Facebook and Instagram. So you can post Miss Havisham’s daily brushing routine all you want. You’re still gonna get ads for that cosmetic line you liked on Facebook. So wait, my likes and follows on both Facebook and Instagram are part of what’s targeting ads to me? Yep. Likes, follows, searches, or even just browsing through Facebook and Instagram helps advertisers target you. How does a brand use my Instagram activity to target me? What if I’m set to private? Let’s start with an example. A new online boutique wants to target new potential customers. One way it can do that is by uploading a list of their already existing customer emails into Facebook ad manager. Then, Facebook can identify those people from their emails, and analyze is based on everything it knows about the. A new, similar group of potential customers is created, and that’s who the boutique should target with its ads. So your Instagram like gives just a small detail about you, they help advertisers target you. And sorry to burst your private bubble, but they are still able to use your data to target you with ads. Going private on Instagram is only for how other users can see you. It has nothing to do with your data or ad targeting. Up to you. If this was just too traumatizing and you want to give up the joy of Instagramming, then by all means, delete. But if you want to continue scrolling, posting, and filtering, here’s some tips on how to limit the data you give Facebook. Apple Box Studios is a full-service advertising agency, so yes, that means we target people on Facebook to advertise for brands. Our social media manager just wanted to help explain some of the details about how Facebook and Instagram ad targeting works, and give normal social media users the information of protecting their timelines. ‹ What are Dark Posts on Social Media?